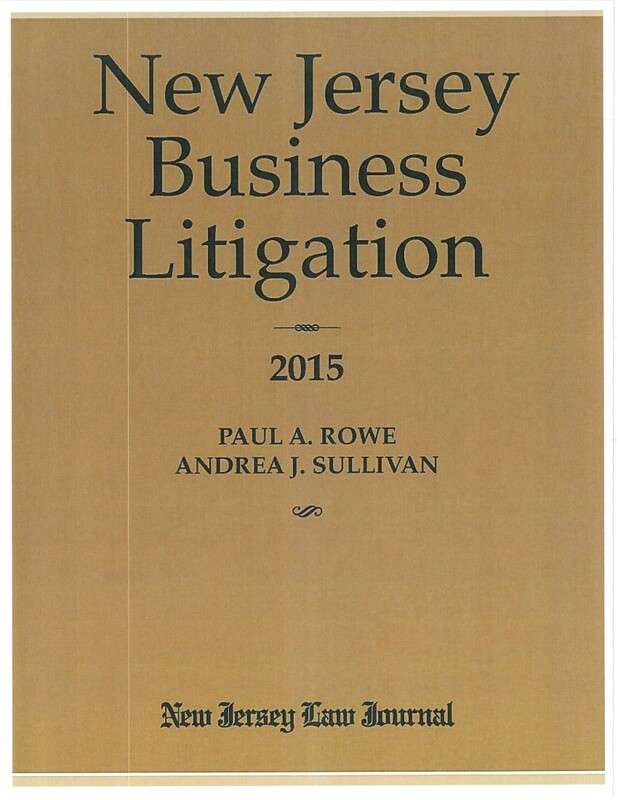 Paul A. Rowe and Andrea J. Sullivan are co-authors of the 2015 edition of “New Jersey Business Litigation” (New Jersey Law Journal Books). The publication, which covers a broad range of subjects about which businesses litigate and is written from the perspective of how New Jersey courts will view the case, has become the standard for commercial litigators, in-house counsel, general practitioners and transactional attorneys representing business clients in New Jersey. Ms. Sullivan is a partner in the firm’s Litigation Department. Her practice includes commercial litigation, estate litigation, matrimonial litigation, chancery litigation, and alternative dispute resolution, with a particular focuses on the representation of high net-worth individuals and the resolution of matters requiring sophisticated business valuations. She has handled cases involving many types of business conflicts, including contract disputes, oppressed minority shareholder litigation, hiring and termination of senior employees, non-compete issues, and other “business divorce” matters.